Paradise Bay is located in George Town on Grand Exuma. 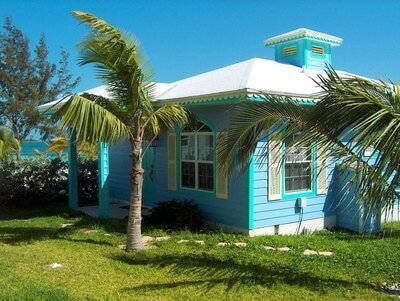 This beach front resort offers 9 cottages including a 4-bedroom villa, nestled in the beautiful bay of Grand Exuma. The resort is a 40 minute flight from Nassau. Crossed by the Tropic of Cancer, Great Exuma is known for its idyllic landscapes, its land and sea parks and the natural beauty of the seabed. Far from the tourist crowd, you will enjoy a stay in cottages/villa located in one of the most beautiful bays of Exuma a few feet from a 1.2 mile long beach. Protected by a natural coral reef, this bay is one of the wildest on Exuma. During your stay you can enjoy a variety of offshore excursions allowing you to explore a wide range of beauty. The resort is under French ownership. 4-Bedroom Villa on the beach features 1 queen size bed in each room, private shower, bath, minibar, AC, hair dryer, satellite TV with DVD player, iPod docking station, telephone, radio/clock, WiFi writing desk, living room/dining room and fully equipped kitchen. Each room sleeps 2 persons. 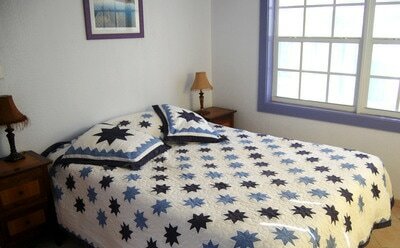 Additional beds can be arranged. The private 1-bedroom Cottage (40 square meters) accommodates 2 adults and 1 child, consists of a bedroom, lounge, bathroom with walk-in shower, a mezzanine, A/C, patio, direct access to the beach to enjoy the sunsets and breathtaking ocean views, Mini-fridge, TV, and free parking. 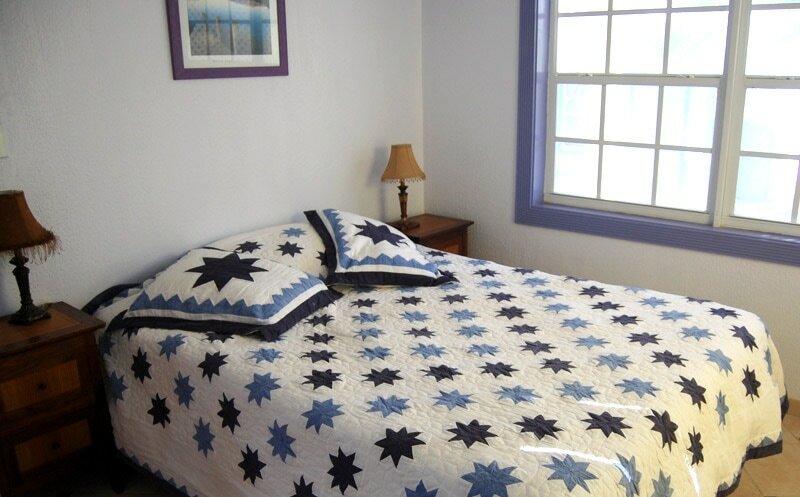 The private 2-bdrm Cottages, accommodate 4 persons and consist of 2 bedrooms, lounge, bathroom with shower and bath, fully equipped kitchen, A/C, patio tropical garden and direct access to the range. Amenities include Fridge, microwave, toaster, coffee machine, kitchen utensils, stove, oven TV, DVD, outdoor set with grill and free parking. 1 mile of white sand beach, restaurant, outdoor bar, swimming pool, hiking trails, kayaking, pool table, beach chairs and beach umbrellas. Additionally you can have the Bahamian cook prepare a picnic lunch basket and take it with you to a deserted beach. 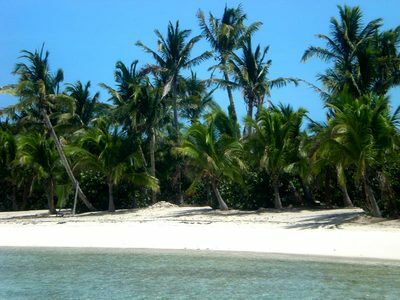 Boat rental, scooter rental, day excursions to nearby islands, car rental, shopping in George Town (25km), sight-seeing, water sports: kayaks, stand up paddle, jet-ski tour, boat tours; ATV tours, scuba diving and golf (1 mile from Paradise Bay). Night activities: fine dining, conversations and star gazing. Three restaurants are located within 1.5 miles of the cottages. Children are welcome. On site babysitting is $15.00/hour. Massages from $70.00. Electricity 220v!! Minimum Stay at Paradise Bay is 3 Nights. Rates are PER VILLA/ PER COTTAGE (Divide by the number of occupants for the per-person rates). Rates include: Daily Breakfast, daily housekeeping, WiFi, access to the restaurant and the pool as well as 10% taxes. Airport transfers are not included and are approx. $30.00 each way by taxi for 2 persons.